Shortly after Obamacare was enacted, I began to maintain a list of groups that were victimized by the law. But after listing kids, low-income workers, and retirees, I quickly realized this was a senseless exercise because virtually everyone in the country was going to be hurt by this expansion of government power and control. So I then began to put together a different type of list. I call it the “least sympathetic victims” of Obamacare. These are groups that are being hurt by the law, but I think you’ll agree with me that they don’t deserve tears of support. At least not real ones. Some politicians and staffers of Capitol Hill are very upset about the prospect of being subjected to the law that they inflicted on the rest of the country. The bureaucrats at the IRS are agitated about the possibility of living under Obamacare, even though the IRS got new powers as a result of the law. We now have a new group to add to the list. It appears that the faculty of Harvard University aren’t happy about some of the changes imposed by Obamacare. Even though many Harvard professors helped Obama design and promote the law! Here are some passages from a New York Times report. Members of the Faculty of Arts and Sciences, the heart of the 378-year-old university, voted overwhelmingly in November to oppose changes that would require them and thousands of other Harvard employees to pay more for health care. The university says the increases are in part a result of the Obama administration’s Affordable Care Act, which many Harvard professors championed. …“Harvard is a microcosm of what’s happening in health care in the country,” said David M. Cutler, a health economist at the university who was an adviser to President Obama’s 2008 campaign. …In Harvard’s health care enrollment guide for 2015, the university said it “must respond to the national trend of rising health care costs, including some driven by health care reform,” in the form of the Affordable Care Act. …Mary D. Lewis, a professor who specializes in the history of modern France and has led opposition to the benefit changes, said they were tantamount to a pay cut. …The president of Harvard, Drew Gilpin Faust, acknowledged in a letter to the faculty that the changes in health benefits — though based on recommendations from some of the university’s own health policy experts — were “causing distress” and had “generated anxiety” on campus. Distress and anxiety on campus? Oh, the horrors. I guess it’s perfectly acceptable to impose harm on the peasants in flyover country, but these Harvard elitists obviously don’t want to live under the policies that they recommend for the rest of us. P.S. I gather Harvard and Massachusetts Institute of Technology view each other as rivals. Well, since Jonathan Gruber (the guy who was caught on tape admitting that Obamacare was based on lies) is a professor at M.I.T. and Harvard professors are the ones getting very agitated, maybe we should simply view Obamacare as a really clever school-against-school prank? It’s just unfortunate that the rest of the country is suffering collateral damage. P.P.S. By the way, one of the reasons that Harvard professors are unhappy is because of the so-called Cadillac tax, which actually is one of the few parts of Obamacare that may have some positive effect since it’s designed to reduce over-insurance and mitigate the third-party payer problem. P.P.P.S. Let’s close with some political humor. 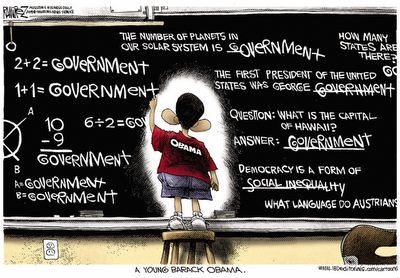 This Michael Ramirez cartoon captures President Obama as a precocious school kid. You can see why readers voted Ramirez as the best political cartoonist. 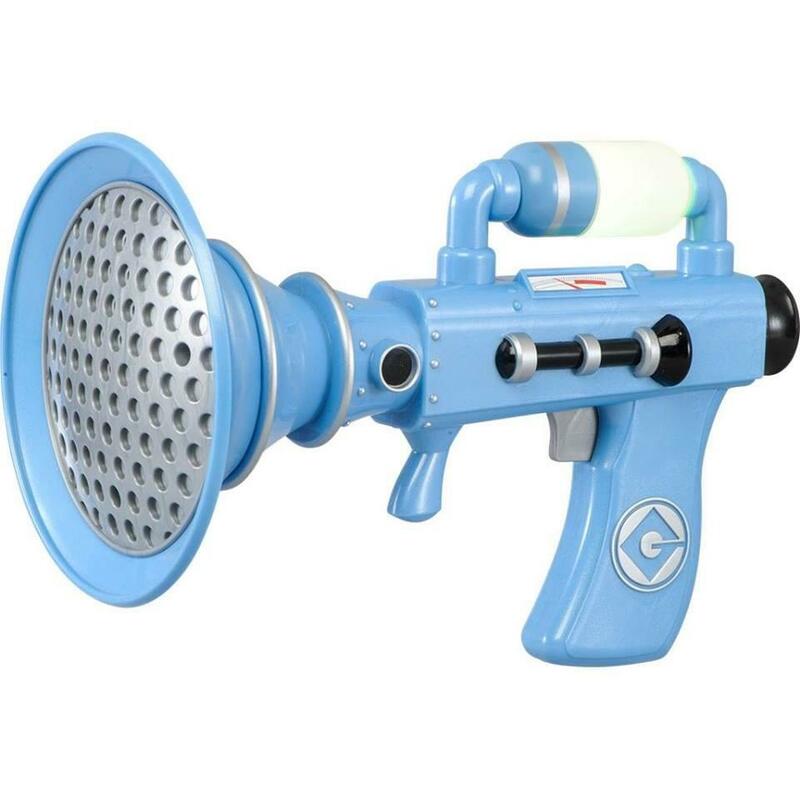 P.P.P.P.S. And here’s a very clever video about terrorists and the Transportation Security Administration. For more TSA humor, see this, this, this, this, and this. And if you want more terrorist humor, click here, here, here, and here (at the end of the post). Another good job by Remy and the folks at Reason TV. Last year, they produced this parody about Grandma’s Christmas visit to Gitmo. Now we see what happens when Santa tries to slip past the Transportation Security Administration. And if you’ve ever been curious about what a “hooha” is, here are two additional TSA Christmas videos.